For the second time Fluid-o-Tech receives the National Prize for Innovation established by the Prime Minister’s office. 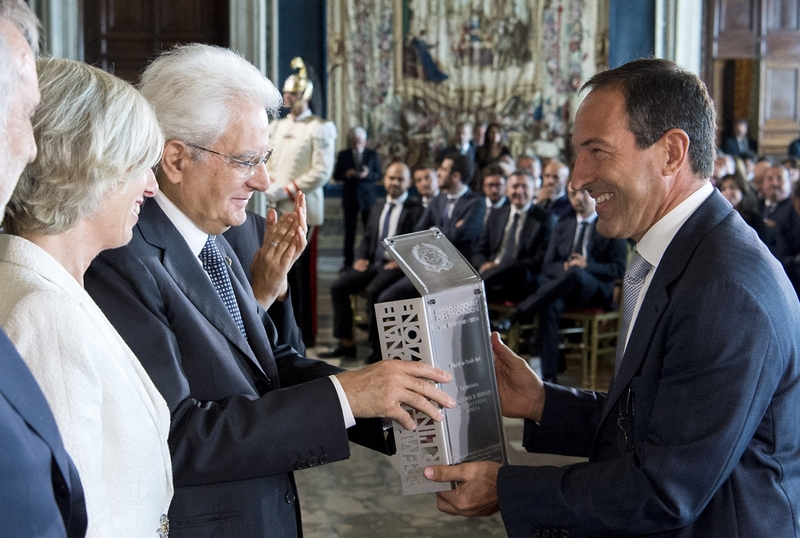 The prestigious prize has been handed during the Italy National Innovation Day at the Quirinal Palace in Rome by the Italian President Sergio Mattarella “for the continuous development of innovative technologies that let the company to be recognized as a market leader with excellent results systematically better their competitors in terms of growth, profitability and financial strength”. We are honored to be recognized as a company that excel in maintaining and increasing its competitive advantage through innovation.